The police in Nalgonda, in Telangana, India, have filed cases against six Sri Lankan doctors who are allegedly involved in a kidney racket, The Hindu said. The newspaper said that the doctors have been charged of conducting paid kidney transplants in violation of ethics. Dr. Madhava, Dr. Monik and Dr. Sadhana, working at the Nawaloka Hospital, Dr. Chamila (Hemas Hospital), Dr. Niroshini (Lanka Hospital) and Dr. Habeeba Saheef (Western Hospital), have allegedly performed the 60 transplants, the Nalgonda police said. Police recently arrested the kingpin in the kidney racket, Suresh Prajapathi (36), and two of his cronies, who facilitated 60 kidney transplants. 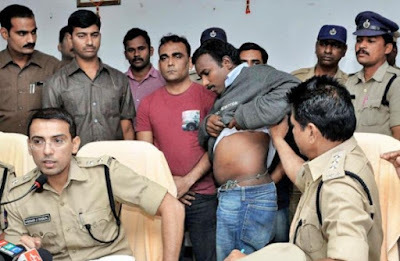 The police also arrested Prajapathi’s accomplice Dilip Umedamal Chouhan (31), who used to help conduct health tests on donors at various diagnostic centres in Ahmedabad. The Ministry of Health has launched a fresh investigation into the alleged kidney transplant racket operated from India. The Department of Medical Services in the ministry has been instructed to conduct a full investigation on the matter and submit a report, Secretary to the Ministry of Health Anura Jayawickrama told the Daily News yesterday. As a temporary measure, the ministry has also suspended approval for any organ transplant procedures, he said. Any transplant procedure has to obtain prior approval from the Ministry of Health. "The ministry is looking at establishing a formal system to give approval for transplants and till such time giving approval has been suspended, this is imposed especially in the case of foreigners," a highly ranked source from the Ministry told the the Daily News. This is the second time an investigation is being commissioned on the matter. In 2014, the Health Ministry commissioned an inspection of all private hospitals in the country following accounts of illegal kidney transplants being carried out in private hospitals reported in both Indian and local papers. The Indian media this week reported on fresh arrests on the alleged kidney transplant racket. Reports also said that six Sri Lankan doctors attached to four private hospitals are involved in the racket.According to Indian Daily, The Hindu, all transplants had taken place in four Sri Lankan hospitals while all donors and recipients involved in the racket are from India. The kingpin of the racket, Suresh Prajapathi an Indian based in Ahmedabad was arrested on Tuesday. A fee of Indian rupees Rs.28 lakhs to Rs.30 lakhs has been charged for a transplant the paper reported. "he kept Rs.5 lakhs and paid up the remaining money to the donor, doctors and others. Prajapathi amassed Rs. 3 crore in the trade, bought a house investing Rs. 1.4 crore, an office costing Rs. 30 lakhs, and furniture worth Rs.27 lakhs," The Hindu said. Meanwhile the Indian High Commssion in Sri Lanka said no offcials in Inda had made contact with them regarding investigations.